The Claremont Institute is pleased to announce that U.S. Supreme Court Justice Samuel Alito will be the honoree and keynote speaker at the 2017 Annual Dinner in Honor of Sir Winston S. Churchill. 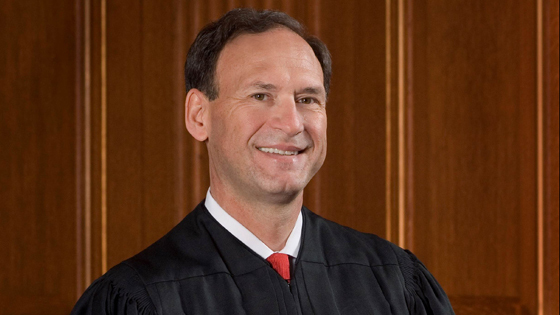 Justice Alito will also be presented with the Claremont Institute’s Statesmanship Award. Born in Trenton, New Jersey, Justice Alito is a graduate of Yale Law School and a former law clerk for Judge Leonard I. Garth of the U.S. Court of Appeals for the Third Circuit. He has served as an Assistant U.S. Attorney for the District of New Jersey, Assistant to the Solicitor General, Deputy Assistant Attorney General, and U.S. Attorney for the District of New Jersey. He was appointed to the U.S. Court of Appeals for the Third Circuit in 1990, and President George W. Bush nominated him as an Associate Justice of the U.S. Supreme Court in 2005. He took his seat on January 31, 2006. In his decade on the Court, Justice Alito has distinguished himself as a great defender of the Constitution, staking out important ground in the areas of federalism, the administrative state, and free speech. He has been a leading voice in calling for the reconsideration of many of the faulty doctrines and precedents against which Claremont has been fighting for many years. With the future of the Court and the rule of law hanging in the balance, the time could not be better to hear from a champion of the Constitution like Justice Alito. Limited hotel room blocks are available for $220 per night. Please contact the Island hotel at 949-759-0808 by Wednesday, January 11, to secure the discounted rate. If you would like a table at the Dinner, you can join the Claremont Institute’s annual Host Committee by clicking here. You can also contact Christine Domenech at CDomenech@claremont.org. If you would like to make a general donation to the Claremont Institute to support our much-needed work year-round, please visit our donation page here.